Speaking to a seminar of mostly younger attorneys who specialize in personal injury claims, Wohlgelernter discussed preparing plaintiffs’ cases for mediation. Held Aug. 7, 2014, in Philadelphia, the seminar covered issues of the current law and practice pointers for third-party and both underinsured and uninsured motorist claims. Fellow presenters at the seminar covered related topics that included case selection, insurance policy provisions, discovery issues, and “Proving Your Case.” The course offered 6 CLE credits. A lawyer with more than 30 years of experience and one of the three founders of Philadelphia-based Feldman Shepherd, Wohlgelernter is a frequent contributor and sought-after lecturer on many aspects of personal injury litigation, both for continuing legal education and community activities. He is admitted to practice in Pennsylvania, New Jersey and New York and concentrates his practice on medical negligence, premises liability, motor vehicle and truck litigation and other significant personal injury claims. 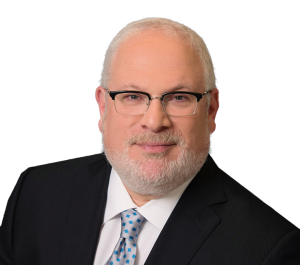 Wohlgelernter is a member of the Pennsylvania, New York and Philadelphia Trial Lawyers Association and an active leader within the Philadelphia Jewish Community. He currently serves as Vice President of the Philadelphia Trial Lawyers Association and is Vice Chair of the SeniorLAW Center.